Back before I was a fairly mediocre if dogged photographer (amongst other things), and a little after I swerved from being a hesitant aerodynamicist to being an accidental glaciologist, and during the time that I was wildly bifurcating in all directions and never quite sure of what I wanted or able to commit to something long enough to be less than crap at it, well obviously I was into music. Of course I couldn’t settle for being one musician. No, I wanted to be a pop singer, an electronic experimentalist, a raggle taggle folky and lord only knows what else, all pretty much at the same time. Actually with hindsight I wanted to be Ian McNabb, but I imagine he put a little more dedication into than I did. Oh, and did I mention I also wanted to be a graphic designer, illustrator and producer too ? Fortunately I skipped the astronaut bit, although come to think of it, only just. All the music stuff came to a dead end when I moved to Switzerland and kind of lost the urge. This is actually quite in line with the usual pattern of things, because by that point I was actually on the verge of becoming more or less competent and knowing what I wanted to do. In fact I had a proper CD lined up for release through a proper company, and it had a title - “Seaweed and Stars” and quite a nice sleeve design. What it didn’t have was finished music, but some rough drafts were almost there. And now thanks to the wonders of Soundcloud, some 14 years later I can reveal to the world (well ok that’s a bit of an overstatement) what is probably the one surviving track, a little ditty called “Coasting”, which was released on a CD of rough cuts by the aforementioned company. I’m too old to be embarrassed. still give me goose pimples every single time. Here’s a live version some kind soul posted on YouTube. But I think I prefer the original. So, call me an old git (the first part is accurate enough), but due to various circumstances which I suppose I shouldn’t go into on the interwebs, but involve a certain person acting like a spoilt child, my music soundtrack of the week has been heavily dominated by Supertramp (who funnily enough were the first live band I ever saw, back in Antwerpen when I was so much younger than today). Obviously we all know the big hits, but Supertramp didn’t end with Breakfast in America, or indeed the fab Brother Where You Bound, but never actually stopped but swerved into much more Blues/Jazz territory. I finally got to listen to their most recent studio release, Slow Motion, last night, and, well, it’s pretty good. The title song “Slow Motion” is great, and the closing “Dead Man’s Blues” is pretty much where I’m at, and sounds uncannily like something Neil Young or Dylan should have written. One thing that I really hate about this time of year is newspapers, blogs and all other publishing outlets filling up with lists of the year’s best cat photos or whatever else. So I’m going to do it to. Probably for the first time ever: here is the music I’ve been most taken by this (last) year (well I started writing it in December. Honest). This is really a big surprise for me. 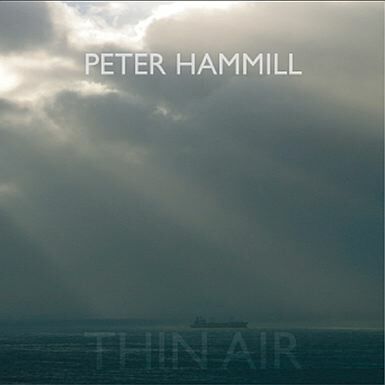 I’ve been a Peter Hammill fan for somewhere near 20 years, but recently my interest has tailed off and I’ve found his newer releases unengaging. But this year’s Thin Air is really something else. Right up there with Bob Dylan’s “Time Out Of Mind”, this is a hard hitting collection of songs full of dread, fear, unease and awareness that life is running out. With a strong sub-theme of time running out for all of us, referring to 9/11 and the collapse of dreams, this is not exactly easy listening. The counterpoints of grace and beauty which Hammill has always brought to his best work make it is absolutely addictive. There isn’t a weak song on the CD. I doubt it will get much better than this. I picked up Untitled #23 in San Francisco back in June. This is totally irrelevant. The Church have been going for ages, and honestly, like with Peter Hammill, I didn’t really expect them to surprise again. Well they did. 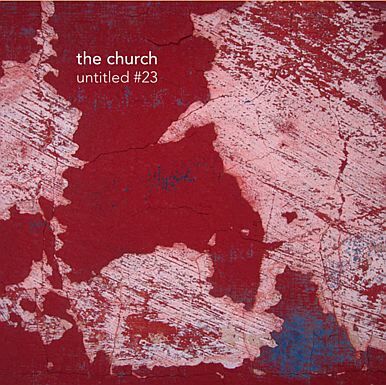 Untitled #23 (it isn’t their 23rd album, but that’s The Church for you) is the culmination of a slow return to peak form which started a good few years back. 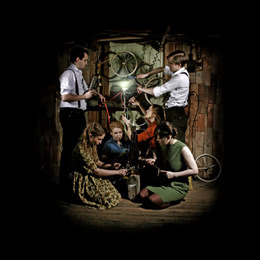 It features some superb songs, like Pangaea and Deadman’s Hand, an absolutely drop-dead gorgeous finale, “Operetta”, and a good dose of typical weirdness (“On Angel Street”). I played Untitled #23 pretty much all some, and got hooked on Steve Kilbey’s freeform stream-of-whatever blog. It wore off a bit, but ... hey, time to listen again. I don’t have a lot to add to what I wrote back in October, but a glance at my latest Last.fm statistics will show that it hasn’t worn off yet. 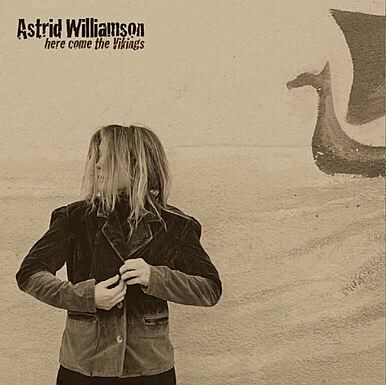 For a taste of Astrid (unplugged) check out this video. Actually “Me and Armini” was released in September 2008, but it didn’t really take off until later this year, helped along by “Jungle Drum” being a huge hit single in Germany. 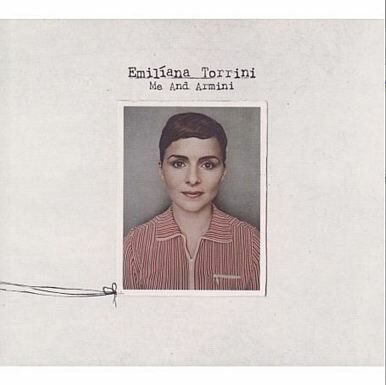 Emiliana Torrini is of mixed Icelandic and Italian descent, and you can’t do much better than that! (well ok, you could mix in a bit of Romanian). I was introduced to her music by an Icelandic friend a few years back, and it will always remind me of coffee overdoses and strange journeys. Torrini has not had the smoothest of rides through life, and this shows through in her music, which although often quirky and humorous, has a dark edge lying just beneath the surface. Ok, so this isn’t music from anywhere 2009, but I discovered it this year, and listened to it obsessively, so as far as I’m concerned it belongs in this list. My Brightest Diamond is essentially Shara Worden, a musician and singer with an eclectic range of influences and a unique warm, expressive voice and style. My Brightest Diamond is impossible to classify but inhabits a space where people like Jane Siberry and Kate Bush might hang out. Songs like “Golden Star” and “Gone Away” from “Bring me the workhorse” or “Ice and the storm” and “Bass Player” from “A Thousand Shark’s Teeth” can stay on auto-repeat all afternoon as far as I’m concerned. And that’s quite enough lists for now. See all entries in "Music"